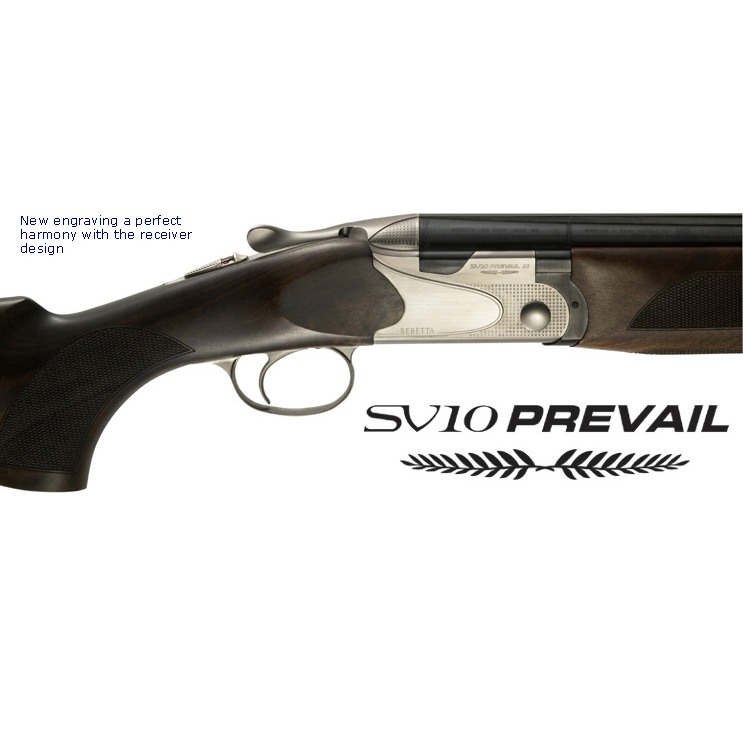 In a stunning new design that could only be born of 500 years of experience, combined with the very best modern technology, the SV10 is as innovative as it is classical. It begins with the design of the receiver. The eyes are drawn immediately to the sideplates that stand out from the sides in an arrow-head shape. Yet at the core of this design is Beretta’s traditional locking system with trapezoidal shoulders and double longitudinal locking lugs. The new, larger shapes of the monobloc’s locking shoulders—and their corresponding seats on the receiver—are not only better integrated into the design of the sideplates, but also improve the efficiency of the lock-up. The styling refinements continue into the shape of the stock inletting, which now moves well forward into the sides of the receiver, consolidating the rigidity of the assembly. 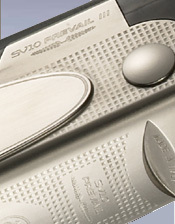 Even the new laser engraving is in perfect harmony with the receiver’s design. The classic style of Beretta over-and-unders is highlighted by the mirror polished sideplates, while the technological advantages of the modern competition shotgun are underlined by the new, deep overturned pyramids.